Sydney, Australia, Apr 10, 2018 / 06:09 pm (CNA/EWTN News).- Amid attacks on the seal of confession in Australia, Archbishop Anthony Fisher of Sydney has said priests will suffer punishment before betraying their sacred obligations. Confession “is threatened today both by neglect and attack. But priests will, we know, suffer punishment, even martyrdom, rather than break the seal of Confession,” Archbishop Fisher said April 1 during his homily for Easter Sunday at St. Mary’s Cathedral in Sydney. 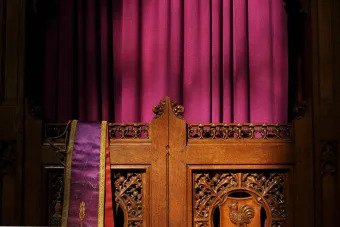 Australia’s Royal Commission into Institutional Responses to Child Sexual Abuse recommended last year that priests be legally obliged to disclose details of sexual abuse revealed in the confessional, and that failure to do so be made a criminal offense. The Archbishop of Sydney’s comments came as part of his teaching on the sacraments and eternal life. He then moved from baptism to confession, noting that baptism “cannot be repeated as sin, sadly, can”, and thus there is the “second baptism” of confession. “So the Easter sacrament of Baptism regenerates the spirit; the Easter sacrament of Penance renews the heart; but it is the Easter sacrament of Anointing that restores the body,” he preached. “The future of our religious freedoms – and so of our sacraments – will depend whether our generation protects both the freedoms and the sacraments,” Archbishop Fisher said. Thiruvananthapuram, India, Dec 6, 2017 / 12:20 am (CNA/EWTN News).- At least 32 Catholic fishermen were killed when a tropical cyclone hit the southern coast of India over the weekend. Guangzhou, China, Apr 1, 2019 / 04:20 pm (CNA).- Guangzhou, the capital of China’s Guangdong province, is offering to pay citizens in exchange for information on “illegal religious groups” as the Communist Party of China continues to crack down on all forms of religious activity. New Delhi, India, Jun 5, 2018 / 03:01 am (CNA/EWTN News).- Hindu nationalists trampled a photo of Pope Francis near Sacred Heart Cathedral in New Delhi in a video calling for a Christian-free India which was recently posted online. The video shows a group of about 20 people chanting “Pope Francis murdabad,” meaning “down with Pope Francis,” after a speech by a man believed to be the controversial Hindu leader Om Swami Maharaj. Muharaj accused Christians of promoting terrorism and threatened forcefully to expel them from India, reported UCA News. 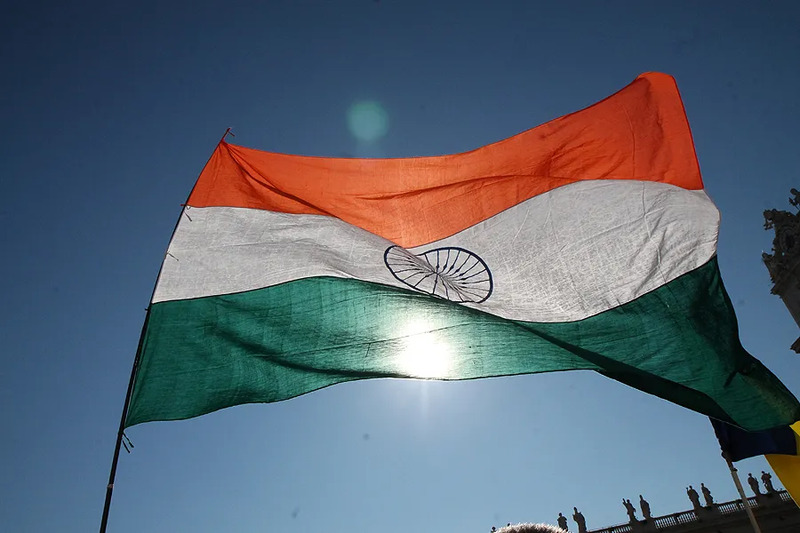 The video began circulating on social media a few weeks after Archbishop Anil Couto of Delhi wrote a letter calling for a one year prayer campaign leading up to India’s 2019 general elections. “We are witnessing a turbulent political atmosphere which poses a threat to the democratic principles enshrined in our Constitution and the secular fabric of our nation,” begins the letter, which was read aloud in the archdiocese’s May 13 Masses. Archbishop Couto requested that Catholics in India’s capital city fast from one meal every Friday for the next year, offering the sacrifice for the spiritual renewal of the nation. He also asked each parish to host a Eucharistic Adoration holy hour each Friday, in which India is consecrated to Our Lady of Fatima. The archbishop’s letter quickly sparked a controversy among the ruling Bharatiya Janata Party (BJP). Several BJP leaders condemned the archbishop’s letter, calling it a “divisive move.” One BJP parliamentarian, Subramanian Swamy, called for India to end all diplomatic relations with the Vatican in a Twitter message May 23. There has been an increase in attacks against Christians in India since the BJP came to power in 2014. Attacks against Christians in India by Hindu extremists more than doubled from 2016 to 2017, according to a report by Persecution Relief which documented 736 such incidents in the past year. Religious freedom in India varies among its 29 states. The U.S. Commission for International Religious Freedom found that conditions worsened in ten states in India in 2017: Uttar Pradesh, Andhra Pradesh, Bihar, Chhattisgarh, Gujarat, Odisha, Karnataka, Madhya Pradesh, Maharashtra, and Rajasthan.